The International Atomic Energy Agency (IAEA) and Russian nuclear fuel manufacturer Tenex have signed a contract for the transport of low-enriched uranium and equipment through Russian territory to and from the IAEA LEU Bank in Kazakhstan. 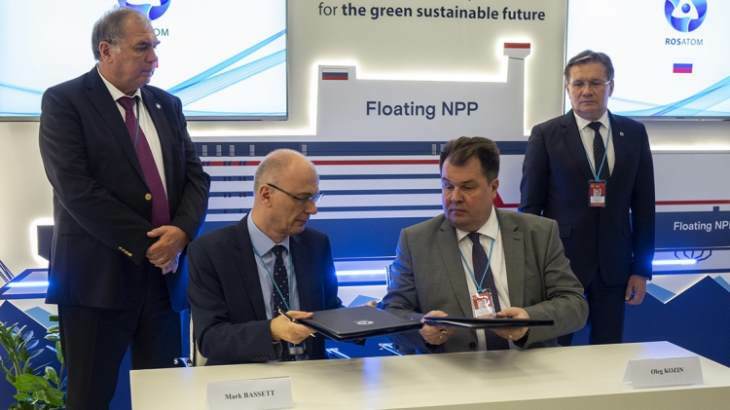 The contract was signed yesterday during the 62nd IAEA General Conference being held in Vienna this week by Mark Bassett, IAEA LEU Bank executive, and Oleg Kozin, deputy director general of Tenex. Announcing the contract signing, the IAEA noted that the Bank will host a reserve of LEU and act as a supplier of last resort for IAEA Member States in case the supply of LEU to a nuclear power plant is disrupted due to exceptional circumstances and the Member State is unable to secure LEU from the commercial market or by any other means. LEU is the basic ingredient used to fabricate fuel for most nuclear power reactors. The storage facility for the LEU Bank was inaugurated in August last year in a ceremony attended by Nursultan Nazarbayev, the president of Kazakhstan, and Yukiya Amano, the director general of the IAEA. It is an 880 square metre high-security warehouse at the Ulba Metallurgical Plant (UMP) in Ust-Kamenogorsk, Kazakhstan. It is owned and managed by UMP. Tenex said in a separate statement yesterday that, according to the contract, it “will ensure the full complex of logistics services in providing LEU transit along the territory of Russia”. It added that the Bank will hold a physical inventory of LEU with a total weight of up to 90 tonnes. The IAEA is procuring LEU through an open competition using the Agency’s standard process. IAEA Director General Yukiya Amano told the General Conference on 17 September that he expected the procurement process will be completed this year and that the LEU will be delivered to the IAEA LEU Bank Storage Facility in 2019.